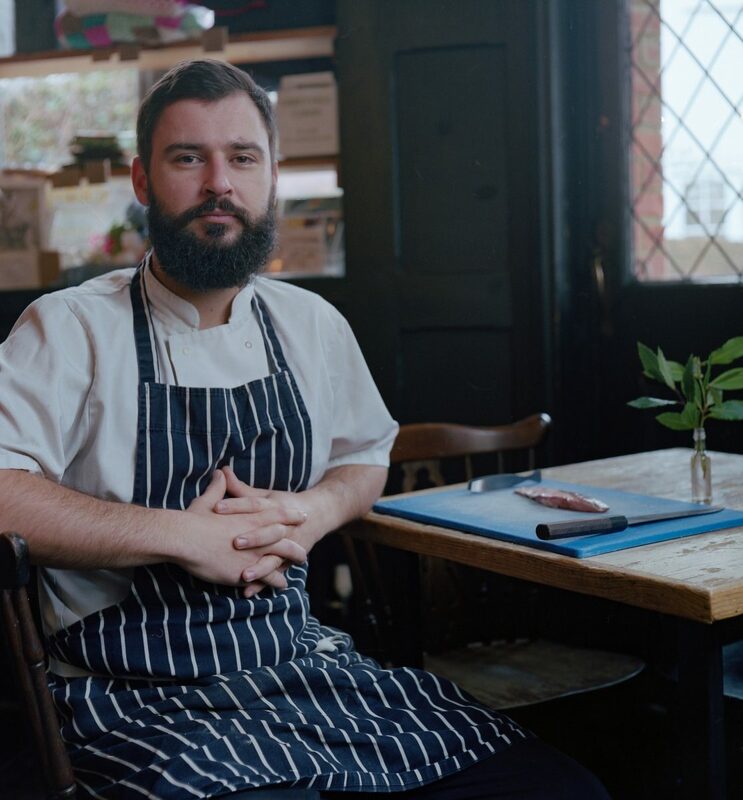 Meet the Chef: Andrew Swan - The Crown, Hastings. The Crown boasts two Observer Food Monthly awards and holds the title of regional Parliamentary Pub of the Year for the South East. Dedicated to using local ingredients and just a short walk from Hastings seafront - The Crown is perfectly placed to make the most of Hastings Fish. We spoke to head chef and owner Andrew Swan about the Crown’s relationship with the Hastings fishing fleet and how the sustainable catch is used on their award winning menu. “We use a couple of suppliers from the Hastings fishing fleet…we get regular texts from PH Fisheries telling us what is about to be landed that day, which inspires the dishes that will go on our menu. The boats often come in at night, then we prep the fish that morning and it’s served to customers that day. Our USP is that mostly everything we sell is super local; we’re a stone’s throw from the beach here and it’s a no brainer for us to use Hastings Fish. We’re passionate about using local ingredients and one of the main reasons for moving here to start the business is that there’s a wealth of those in this area. Our most popular Hastings Fish dish is the fish finger sandwich, it encompasses our food philosophy in one dish: the bread is made here using flour that’s grown and milled here, the fish is caught down on the seafront, the batter is made using local ale, the sauce uses Kentish rapeseed oil and local eggs, the coleslaw consists of all local veggies - we even make our own crisps out of those! I don’t have a favourite fish to work with as such, but I enjoy the seasonality of working so close to nature. It’s exciting when you know that it’s mackerel season and they’ve been spotted, or guessing if the herring is due to arrive on time. We use regular catches like plaice and whiting quite a lot and then there’s also fish like cuttlefish that we like to make a big deal of when it arrives.